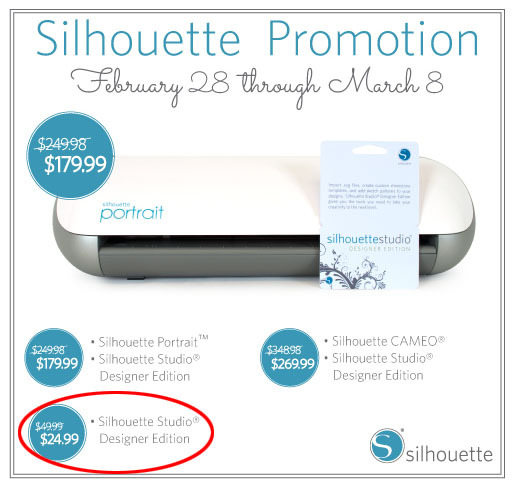 If you have been waiting to get the Silhouette Studio Designer Edition, here's a great deal for you. Use any of the following codes and you can get it for only $24.99. That's like 50% off the regular price of $49.99! HOT DEAL! The regular free Silhouette Studio program that comes with your Silhouette cutter cannot open SVG files. 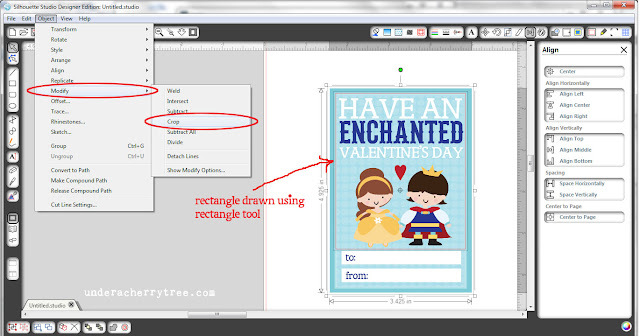 If you use SVGs, you will need the Silhouette Studio Designer Edition or a 3rd party program like Make-the-Cut in order to cut them with your Silhouette machine. New LD sets and Coupons! Heads up! There are new sets and coupons for the LD site! These are LD's new Sneak-Peek-of-the-Month and you can only purchase them when you are buying something else. The "Sneak Peek" sets will show up when you are checking out. March will be upon us in 2 days but the new coupons are already available. Use the code MarchMadness to save 35% on a $15 purchase or use MonsterMadness to save 55% on a purchase of $40 or more. This giveaway has ended and the winners will be announced on Saturday, March 2. Has anyone looked at the pageview counter at the bottom of the page lately? I haven't. 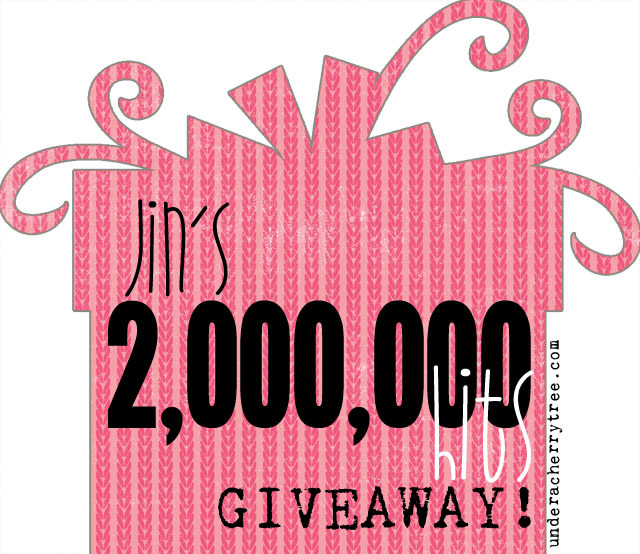 :P I had to do a double take but imagine my surprise when I saw that this blog has passed 2 million hits! Thank you, everyone for your love! 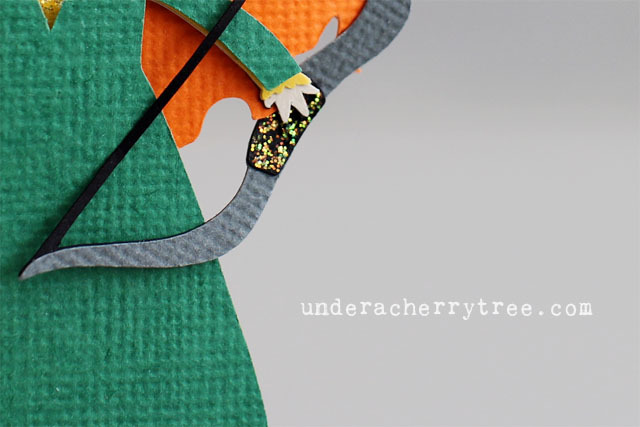 Your support drives me to be a better crafter and encourages me to bring even better tutorials to you. THANK YOU SO MUCH!! Now, let's celebrate this milestone, shall we? How about a giveaway? As for the prize, how about a $10 LD gift certificate? Oh, scratch that! Let's make it TEN gift certs! That's right, I'm giving away TEN LD gift certificates and each of them is worth $10! Yay! The giveaway starts now and will end on Friday, March 1 at 11:59pm PST. The TEN winners will be randomly picked and announced on Saturday, March 2. LD has just added a few Alphabet sets to their Oscar Party sale. To shop, just click on the any of the images below. The sale ends on Monday night. Surprise freebie alert! Amy Jensen found this free alphabet on the LD site and shared it on my Facebook page. To get it, just click HERE or the image above to go to the LD site, add it to your cart and check out. You pay $0! My youngest has a panda lovey we call Pan-Dee. 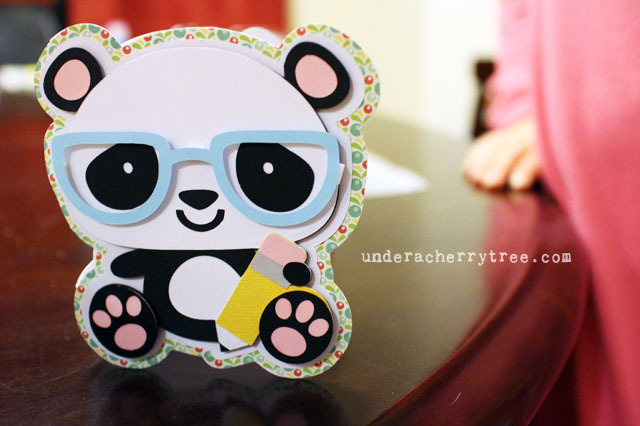 So a few weeks ago, when I saw that Kawaii Kalendar comes with a panda svg, I immediately cut him out for a shaped card. 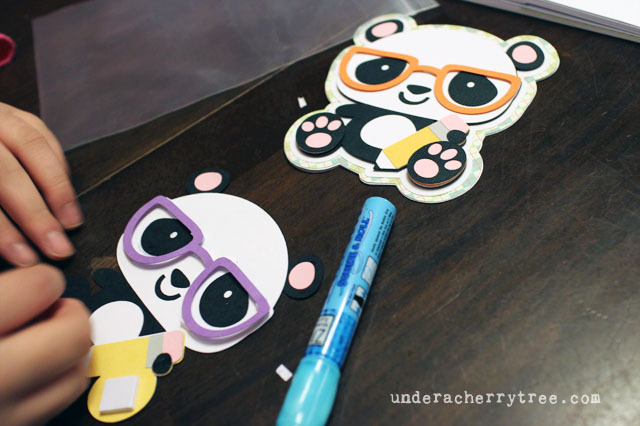 There are 7 layers that make up the panda SVG. I made a card base and put together the card fairly quickly. 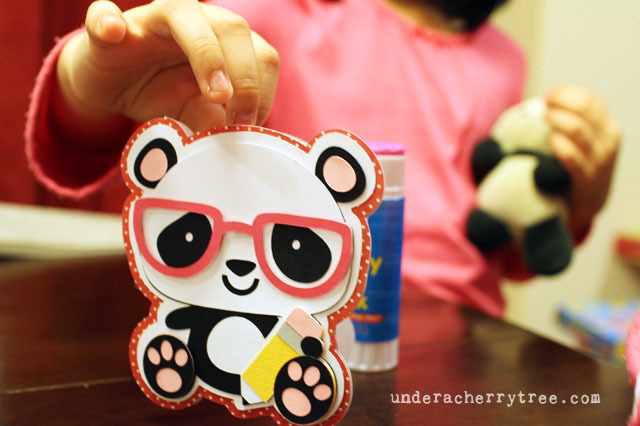 For those of you who have not made a shaped card before, a tutorial (not panda) can be found by clicking here. The twins had no trouble putting their cards together but my 1st Grader needed a little help. Some glue and foam tape later and.....TADA! ...and then there were four! LOL! 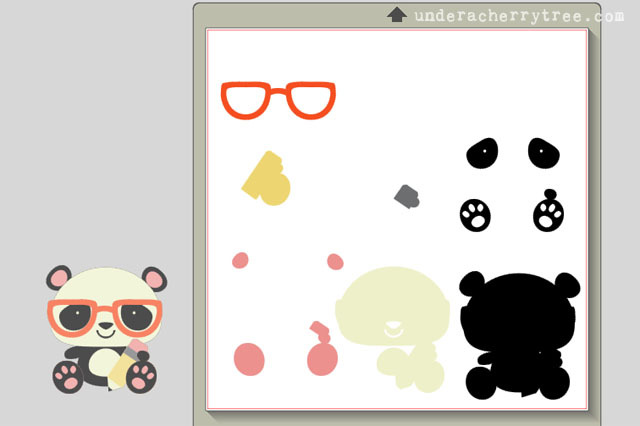 If you have bought and downloaded your Kawaii Kalendar on or before last Friday, Feb 22, please re-download the file. 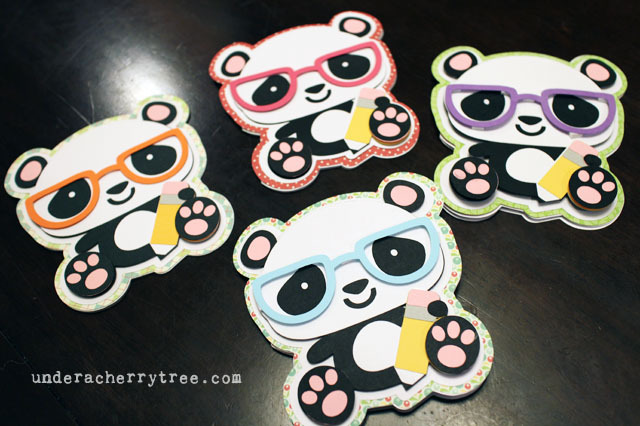 There was a minor issue with the panda cut but it was fixed last Friday. 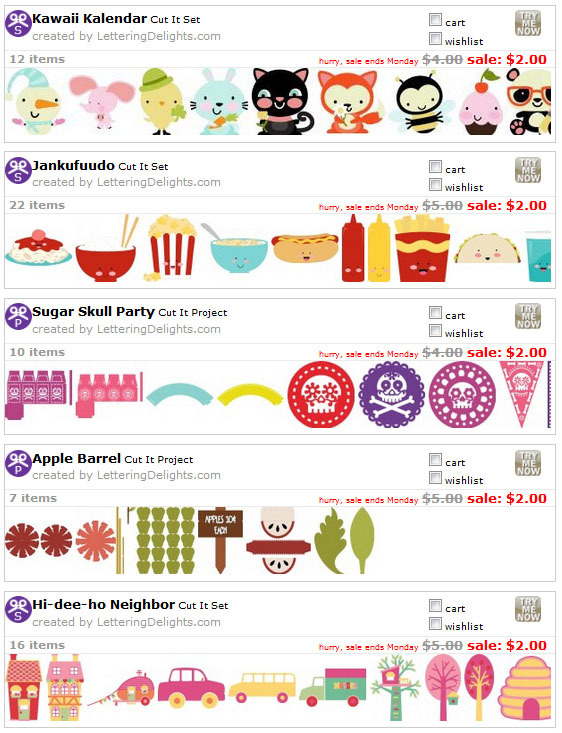 $1 LD Alphabets were added to the sale on Sunday evening. Click HERE to see them. Click HERE to go to their Fontaholic blog to get your Cup of Cheer printable. Click HERE or the image above to go to the LD site, add the file to your cart and check out. You pay $0! The kids are on a week-long school break and the Cameo has been quiet for a few days. I had intended for it to stay that way until the girls go back to classes but then LD released their new More Happily Ever After and Villains and Sidekicks. 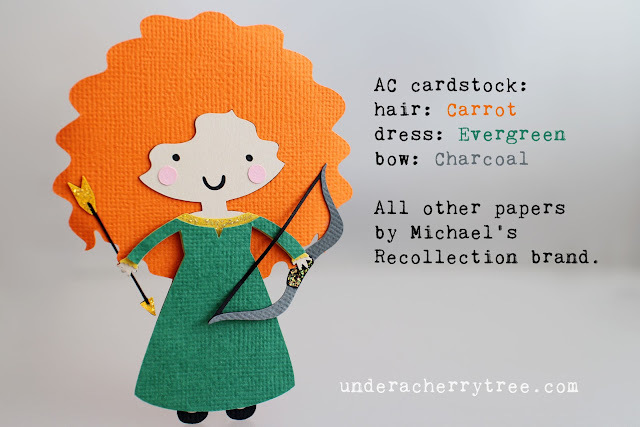 I loved the original Happily Ever After collection and I just had to cut something out from the new sets today. The twins love the movie, Brave, and it was no surprise that they asked that I cut Merida out as soon as they saw the new releases. Since many of you have asked about the papers that I used for the previous princesses, I figured I would add the info here as I go along. For today's princess, I used both American Crafts and Michael's Recollection cardstock. The details are listed in the picture above. If you have not bought your More Happily After yet, click HERE to get it. Bow and Arrow: Villains and Sidekicks cut its. OMG! Look what I just found on the LD site! 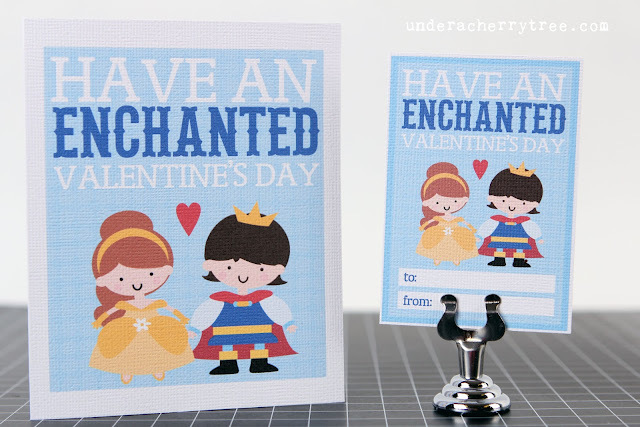 Not only are there more Disney-inspired princesses and princes, LD has added villains to their Happily Ever After line. Click HERE to get the Garden Rose Cupcake Wrappers and HERE to get the Little Cutie Paper Pack. Just add both to your cart and check out. You pay $0! 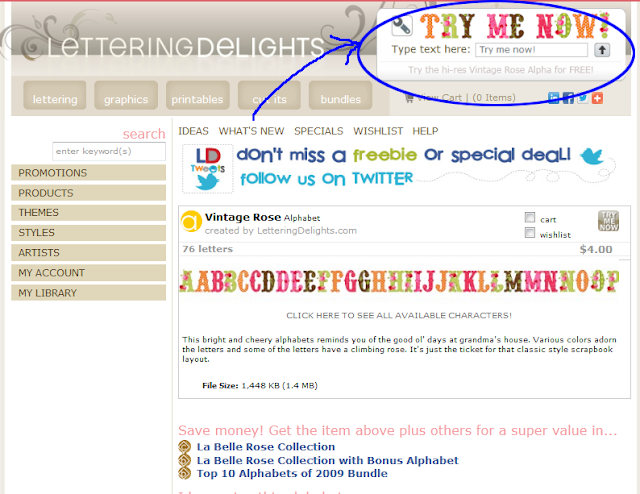 To get your free Alphabet sample, you have to click the Try Me Free tool on the top right of the page. Enter a word or a phrase in the text box and the preview box will show you how it looks like in the form of the alphabet. 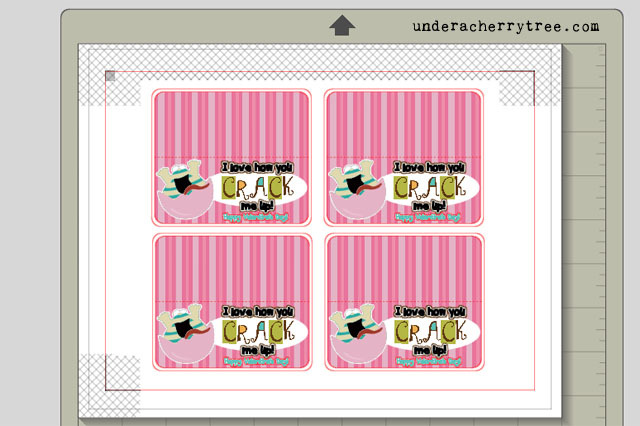 If you like how it looks, you can get it as a free sample text by clicking on the download button. Don't forget to change the resolution of the graphic before starting the download (I like to use Hi-Res). Note that you can only download the word or phrase that you typed in the text box for free. 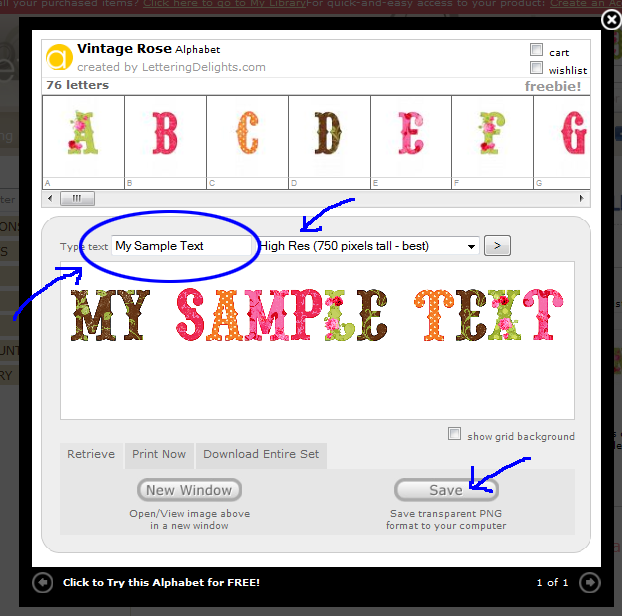 Unlike the usual LD freebies, you will be charged for the alphabet if you check out with it in your cart. Today is the last day to download the 12 freebies from last Friday's LD "Treasure Hunt". 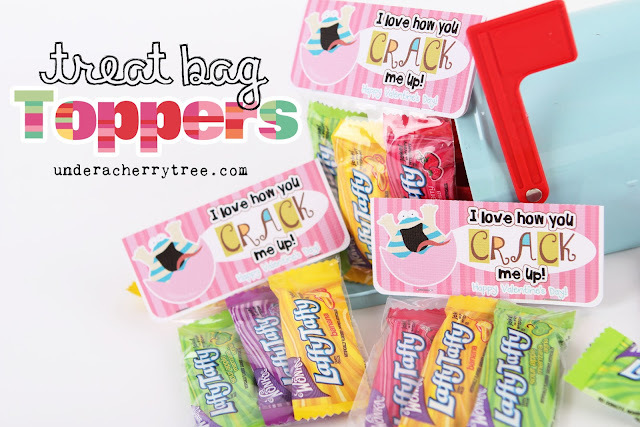 If you missed my post from last week, click HERE to read my post about the first 12 files and HERE to read about the additional freebies that Angelica found on the LD site. 17. Garden Rose Cupcake Wrapper (will probably expire in March). 18. 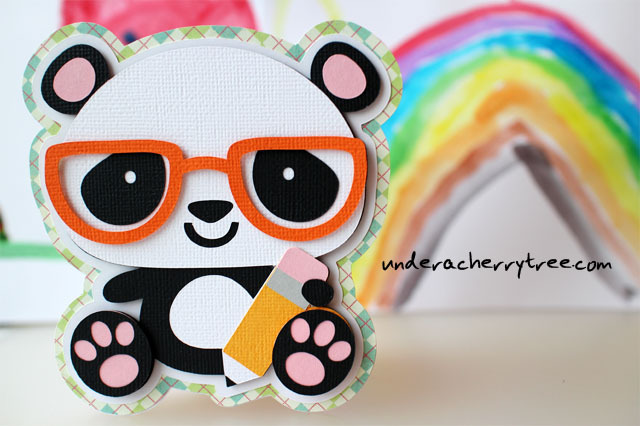 Little Cutie Paper Pack (will probably expire in March). In addition to the 12 freebies from my last post, here are more that have been uncovered by a reader of this blog. Thanks for sharing what you have found with us, Angelica Meas! The NBA All-Stars Game is this weekend and LD has marked down 12 sets to $1 each (reg. $3- $5). Click HERE to get your deal. LD is also giving away 12 freebies today but they are not telling us which ones. (Those meanies! *pout*). We have 3 days to find them before they expire. So click HERE to start looking. That's all for today. Bye Bye. See you back here on Monday. The End. LD's 12 freebies expire on Monday night. Click on the links below to go to the LD site, add each file to your cart and check out. You pay $0! There are even more freebies listed HERE. Today's featured project is courtesy of Doris Hill Weeaks. Doris shared a project on my Facebook page yesterday and I love it so much I asked if I could post it here. "I used the cute little frog prince (from the LD Happily Ever After set) to make a shaped card. I used your technique for centering the images to the page to be able to make a 2-sided card with one sheet of cardstock! 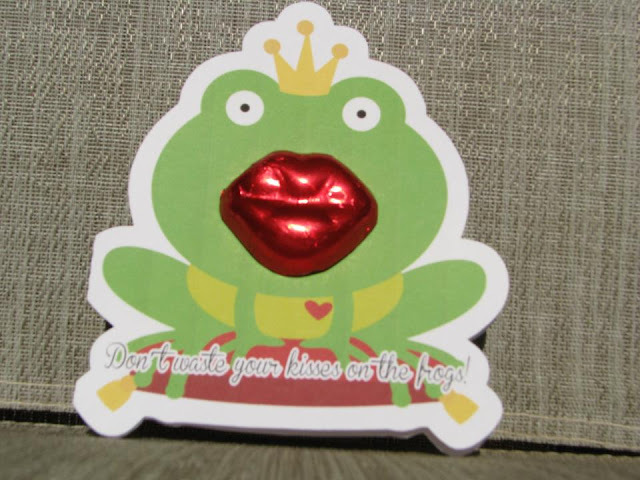 I found some chocolate lips (wrapped in foil) at Dollar Tree that I glue dotted to the frogs face (I covered up the smile that came on him). On the front it says, "Don't waste your kisses on the frogs!" 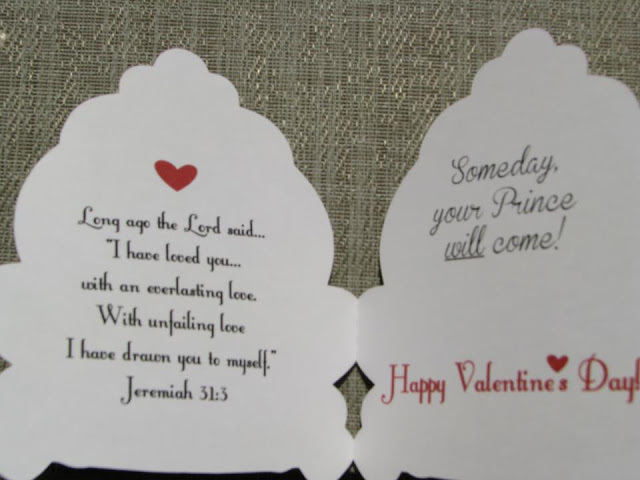 and on the inside it says, "Someday, your prince will come!" 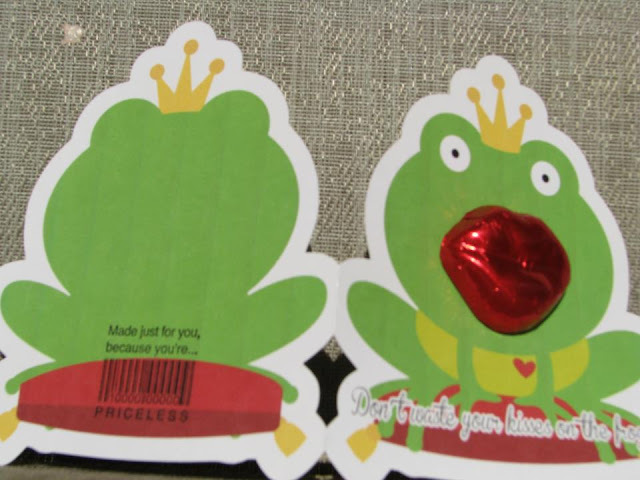 I teach a Bible study on Wednesday nights for young, unwed mothers and I thought the little froggy would be perfect for them!!! I will try to post a pic when I get them done! Thanks for all your inspiration, Jin! :o]"
What a fabulous card! 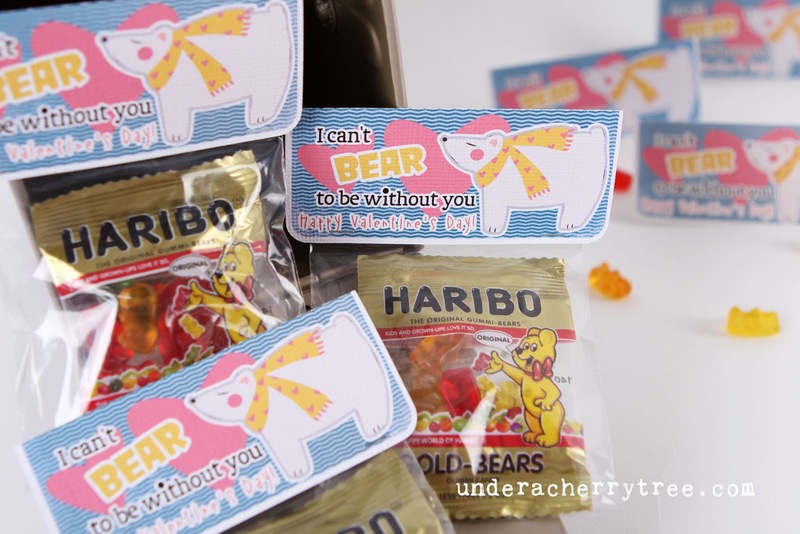 I love this so much I'm going to save this idea and make it for the next Valentine's Day. Thanks for sharing, Doris! I hope that all of you enjoyed this card as much as I do. Have a great day, everyone! FREEBIE! plus new LD coupon! LD has a free envelope for us today! Click HERE or the image above to go to the LD site. Add the freebie to your cart and check out. You pay $0! 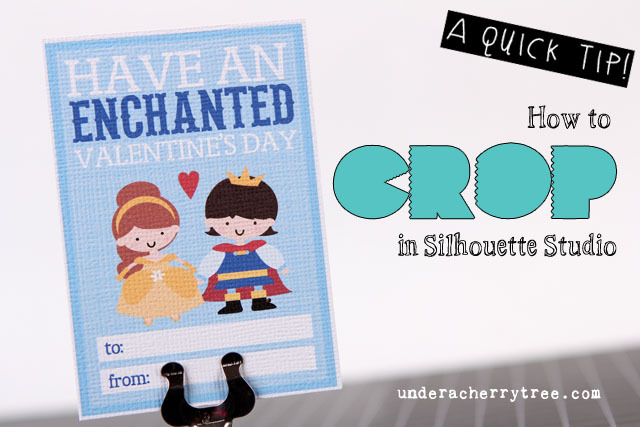 The free envelope was made to go with their new printable Valentines. 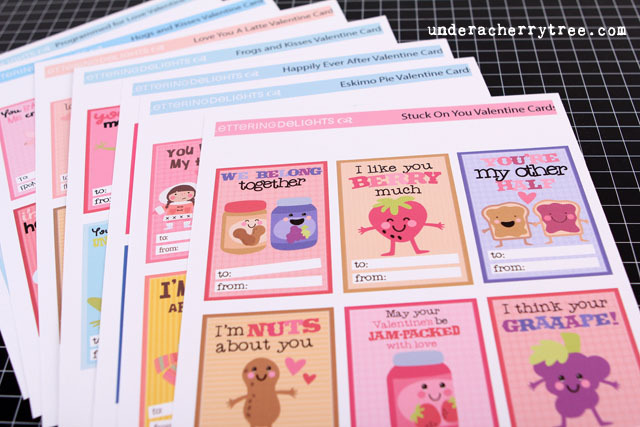 Click HERE to get your $1 (time-limited offer) Valentines and don't forget to use the new coupon code EasyPeasy to take 30% off a $5 min purchase. Click HERE to start shopping. Even though the girls brought their Valentines to school on Monday, I can't help but made a couple more treat bags for their friends. Both treat bag toppers measures 3" x 3.5" unfolded (excluding the 0.125" offset). I used 3" x 4" clear bags that I bought from a Target seasonal clearance but you can certainly buy the same size bags from craft stores like Michaels. 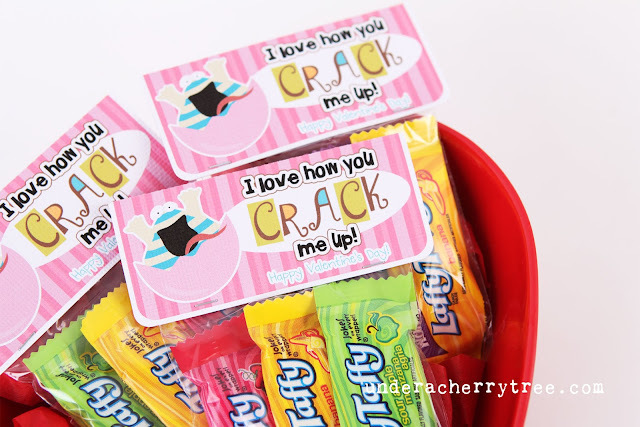 If you had purchase the LD Printable Valentines, here's a quick tip that will show you how to use the Crop tool to remove the "To" and "From" portion of the Valentine. You can use the resulting image to make a quick Valentine's Day card instead. After you have imported the PNG image, reduce it to a more manageable size. I used the Scale tool to reduce the size to 33%. Use the rectangle tool to draw a rectangle around the image, making sure to exclude the "To" and "From" portions. Select both the graphic and the rectangle. Open the Align window, and click on "Align Horizontally-Align Center". 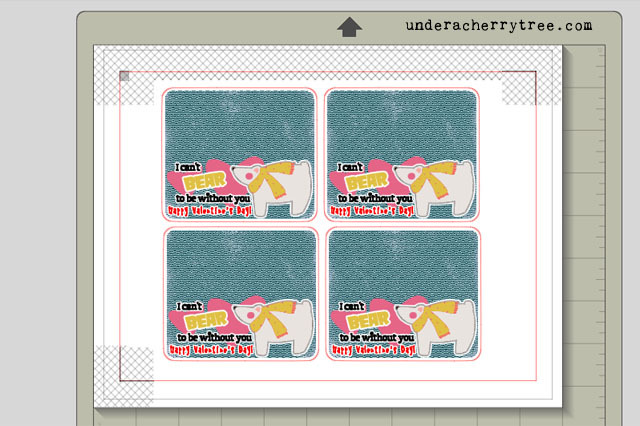 With both the graphic and the rectangle still selected, click on Object - Modify - Crop. HOT!! One-day only! $104 worth of LD for $20. Cupcakes! Lockets! plus NEW $1 Valentines! Friday Freebies from LD and sNf!